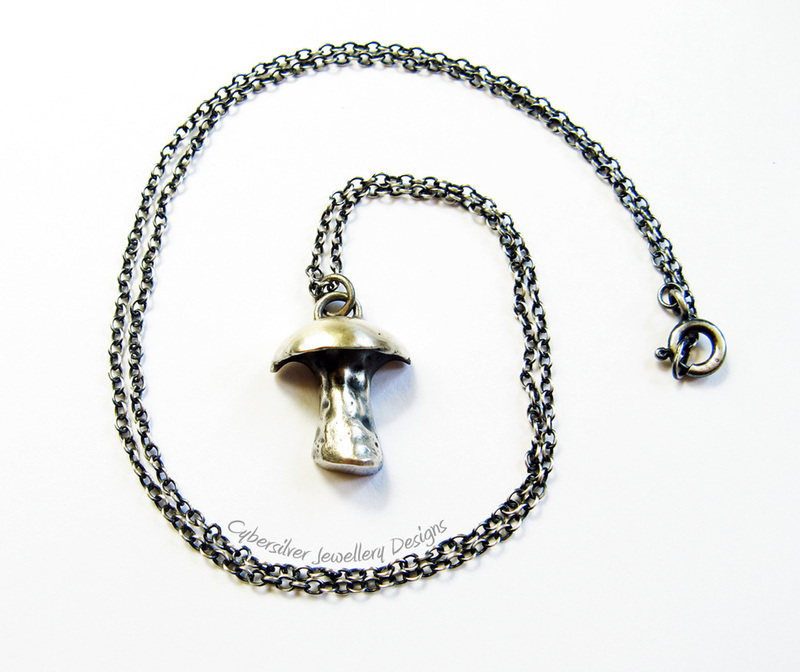 I made this sweet fairytale mushroom using the lost wax method. 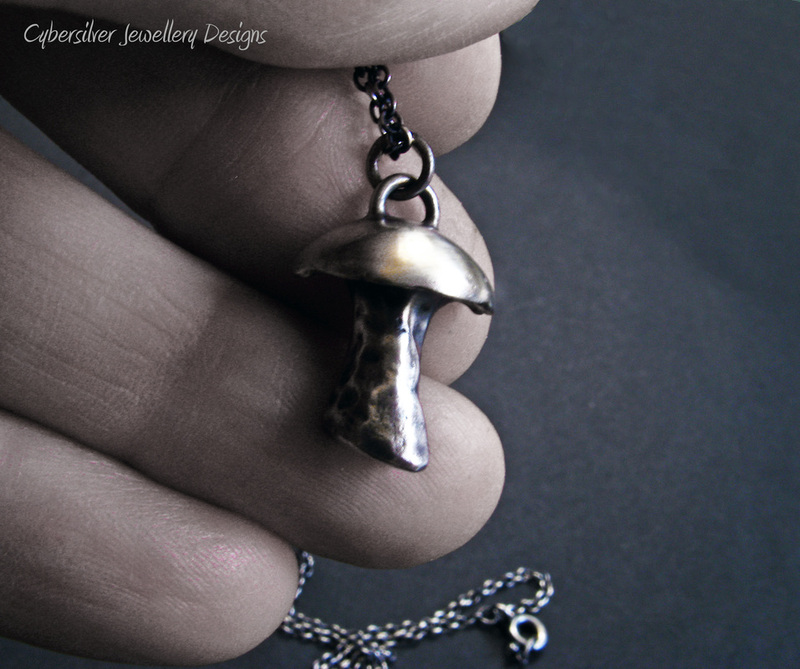 I carved a flat-backed mushroom from wax and then created a mold from it, into which molten silver was poured. 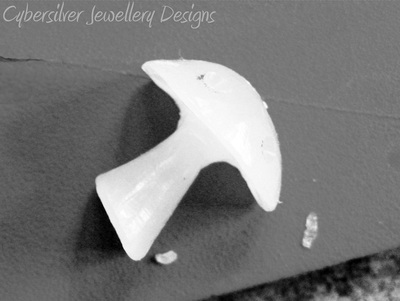 This created the basic mushroom shape, which was then filed and sanded to a smooth finish. 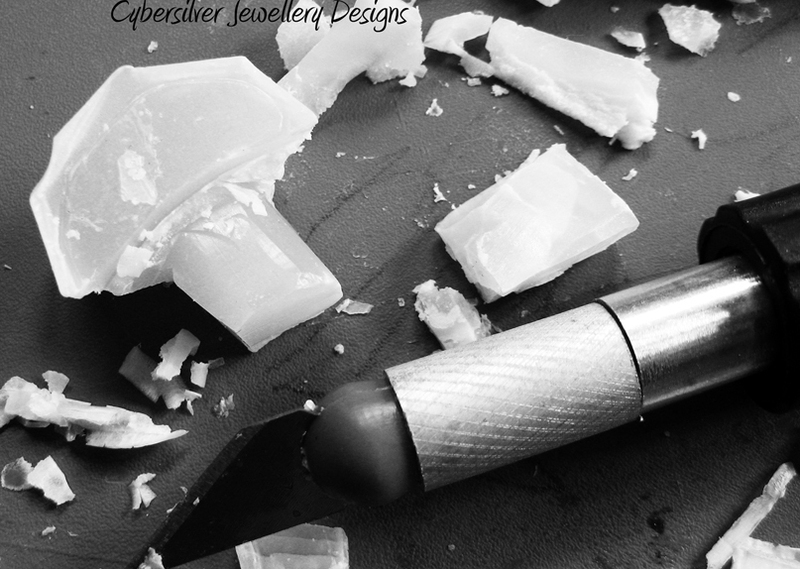 The silver was then oxidised to give a lovely patina. 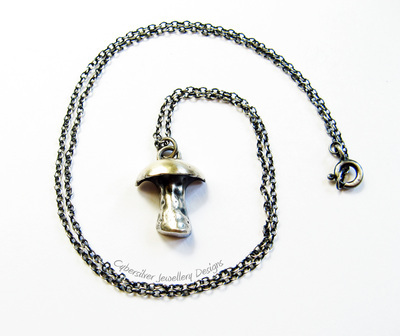 This sweet solid silver mushroom hangs from an oxidised 18" sterling silver chain.